Do You Struggle With Gift-Giving Anxiety? You’ve never heard of that in your life? Whatever. Just trust me, it’s a saying. And it’s typically used in the occasion of receiving a gift that you really don’t want or like. The origin has something to do with judging a horse’s age based on its teeth. I don’t know. Just go with it. There’s a reason I’m bringing all of this up, so stick with me. 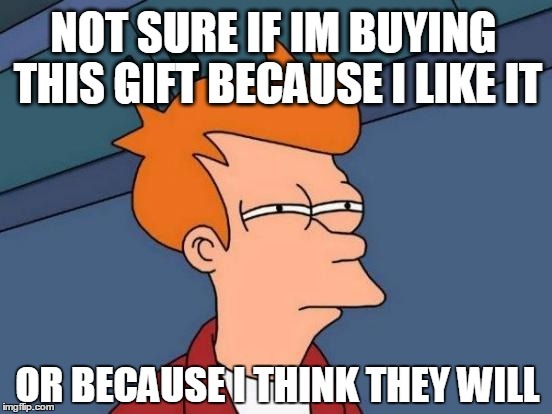 I think it’s safe to say that we’ve all gone through the painfully awkward process of getting a gift we don’t like, want, or need. Be it from a distant relative, your mom, or even your significant other — someone has likely given you a gift with the best of intentions but just didn’t hit the mark. Okay. Now I know exactly what you’re thinking. Stop being so selfish and just be happy with the gifts you get! We should be happy that someone was willing to go out of their way to spend money on you and give you something they think you will like. And I emphasize the word “think” because that’s where the real problem occurs. The person who bought this gift for you genuinely believes that when they go out and spend their hard-earned cash, that you will actually like, if not love, the gift they are purchasing. However, not all of us are such confident gift givers. Most of us try, with the best of intentions, to find the right gift but end up spending way too long laboring over the decision. We second guess ourselves and wonder if this gift is actually something that the receiver will want. And when the day finally comes to give them the gift you cross your fingers and pray they will like it. And well, Â if were are being completely honest, that’s just a situation none of us want to be in. So why do we Â do it? Why do we force gift givers to guess and debate over whether or not the gift they are getting you will actually hit the mark? It’s a waste of everyone’s time and, more importantly, it’s a waste of money. As a kind, generous individual, why should you even bother giving them a gift if there is even a slight chance it may simply sit in the back of a closet, in a drawer, or never leave the box? I truly believe the reason that we don’t want to do anything about getting bad gifts comes from a good-natured quality that many of us possess. Quite frankly, we just don’t want to be selfish. 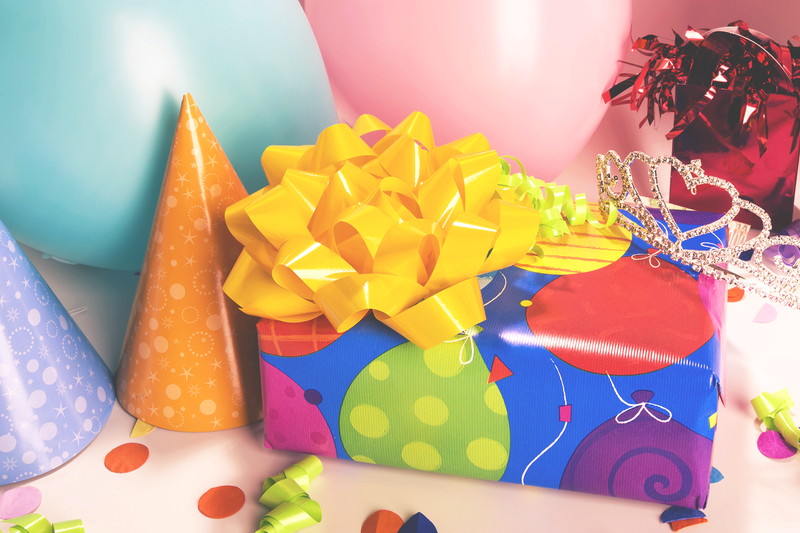 When special occasions like our birthdays come around we already feel like there is so much attention focused on us, it seems very self-absorbed to start getting picky with the gifts we receive. Which is fair and definitely not the worst mindset to have. But like I said earlierÂ if the gifts are never going to be used, what is the point of someone spending money on them. If anything it’s selfish to just let people guess what you want! Plain and simple — something needs to change. For those who are unfamiliar with the site you are currently visiting, you have stumbled upon a wonderfully ingenious yet simple online tool. This is the home of All I Wish Is.Â A gift-giving/shopping/wishlist creating website;Â designed with the intention of solving this problematic gifting dilemma. Pick which wishlist you would like to sort the item into. Birthday, Father’s Day, Christmas, etc. Doesn’t that just make sense? Why are we running around wasting our time buying gifts that no one actually wants? We don’t need that unwarranted anxiety. We already have enough on our plate. Well, there is one final barrier. And after talking with enough people we have realized what exactly that is. Every time we introduce All I Wish IsÂ to a new user they all sayÂ that it’s a great idea and that they would use it to buyÂ gifts for someone else. However, they all struggle with the idea of using it for themselves and telling other people to check out their wishlists. Typically because they feel like once again, it’s selfish. The only problem is that if no one wants to be the person to ask, no one will ever get a chance to receive. Despite what you may think, most people spend the majority of their time living life through their own mind and not through yours. So as much as you mayÂ think everyone should know exactly what you want for your upcoming birthday, there is a good to fair chance they actually have no stinkin clue. So here is what we suggest. To get the ball rolling start small. Within either a small group of yourÂ closest friends or your family, figure out who’s birthday is next. Explain to them how you are actually not a psychic and that you cannotÂ actuallyÂ guess what they want for their birthday. 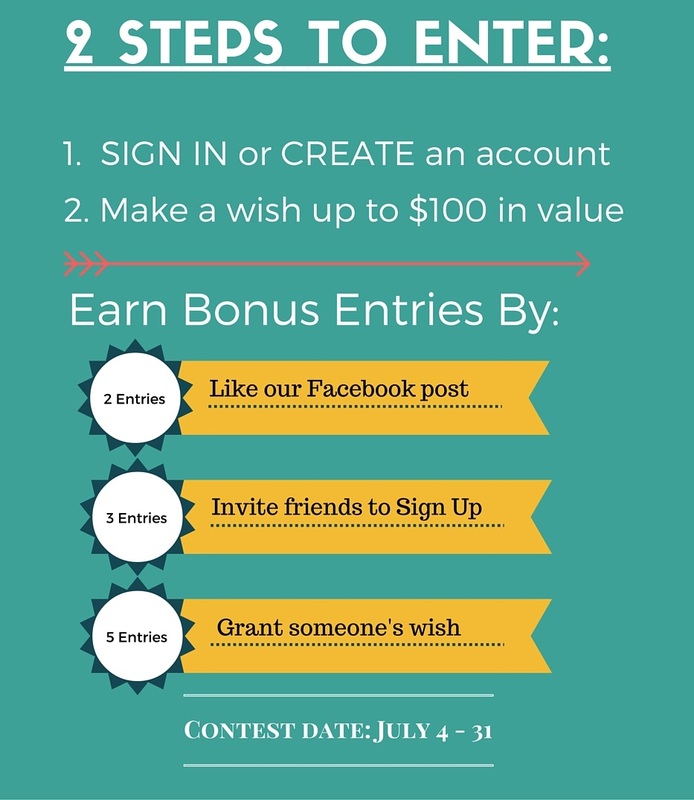 Then tell them to sign up for All I Wish Is and add 5-10 items they might like for their upcoming birthday. Now everyone who might typically buy that person a giftÂ has some relative idea of what this person might want. If you can get some momentum with using All I Wish Is, Â it will begin to feel like less of a self-absorbed act and more of genuine service to the people that love you enough to buy you a gift. No more guessing. No more running around. No more stressing. And no more wasted money.